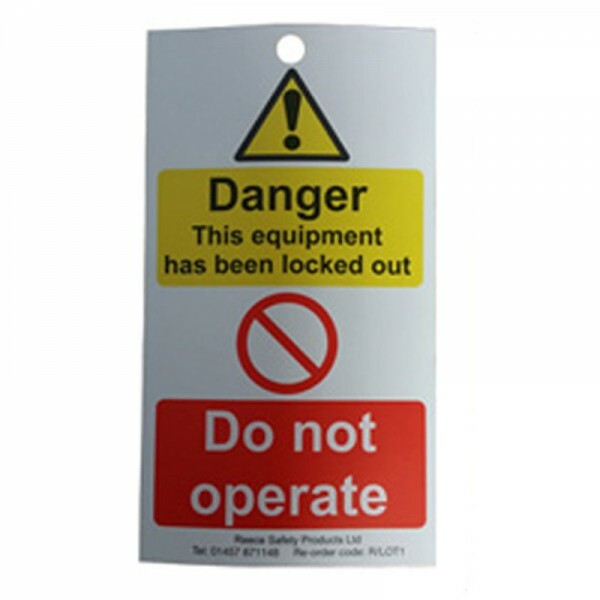 These disposable lockout tags measure 145mm x 80mm and are manufactured from Polybond, a paper like material, which is fully weatherproof, ideal for indoor or outdoor isolations. 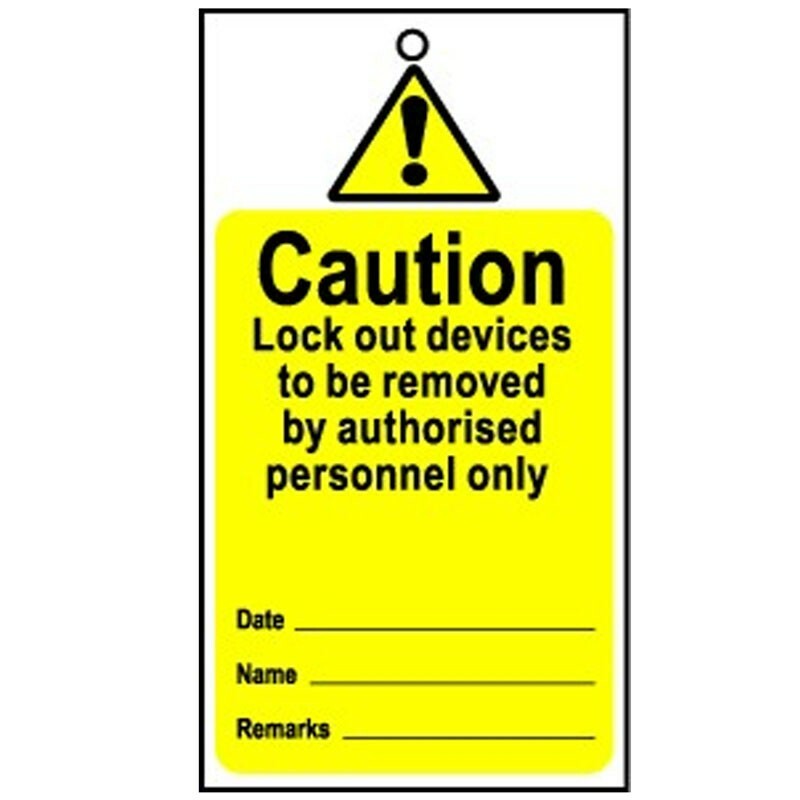 Printed on both sides, each tag carries a standard "Danger this equipment has been locked out, Do not operate" message on the front, with a yellow with 'Caution - Lock out device to be removed by authorised personnel only' on the reverse. Supplied in packs of 100 with ties.